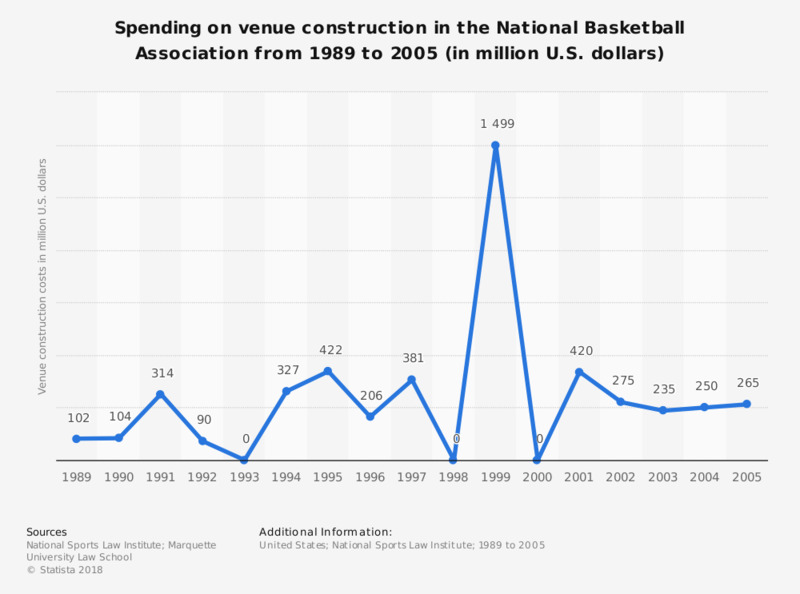 This graph depicts the total amount spent each year on construction of venues in the National Basketball Association in the U.S. In 1992, 90 million U.S. dollars were spent on venue construction. In your opinion, who is the greatest NBA player of all time? Overall, which NBA team is the greatest of all time? How closely do you follow the National Basketball Association?